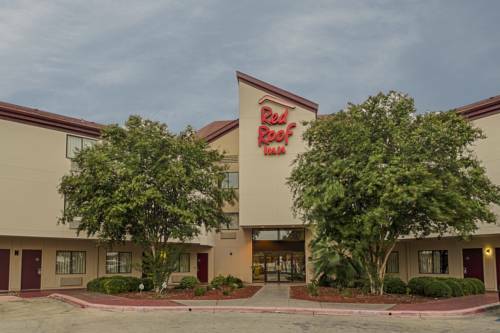 Red Roof Inn San Antonio - SeaWorld/Northwest is a pet friendly, family friendly hotel. This hotel is close to Sea World San Antonio. The hotel is also near San Antonio Intl Airport (SAT), I-410 and close to Six Flags Fiesta Texas, St. Mary's University, the Alamo, Freeman Coliseum and the ATT Center. This hotel is also conveniently located near San Fernando Cathedral, the RiverWalk, La Cantera Golf Course, Fort Sam Houston, Lackland Air Force Base and Ingram Park Mall.